ICI/PRO Podcast host Joey Stabile talks with Suhail Maqsood of the Wheel House in San Francisco and John Bogosian of Zingfit about the importance of keeping your customers. This was a great conversation, and many of us overlook the most valuable asset that we have in our businesses, our customers. Suhail and I have a great talk about the importance of the customers and what we can do to increase their experience with our club and how we can safeguard their privacy while retaining our branding. 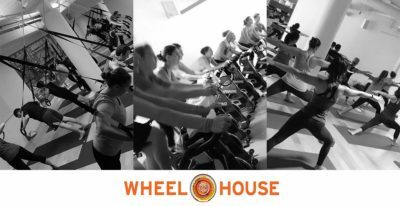 You can learn more about The Wheel House here at their website. You can learn more about Zingfit here at their website.